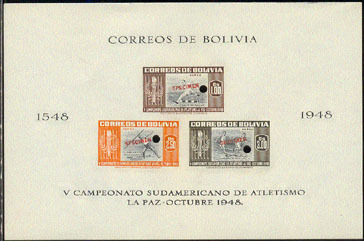 2372 SPE BOLIVIA (1951) Track events*. Imperforate S/S of 3 stamps overprinted SPECIMEN, with control punches. Scott No C155a, Yvert No BF14.